A man who writes the book on ending a romance runs into rough sledding while starting a new one in this comedy. 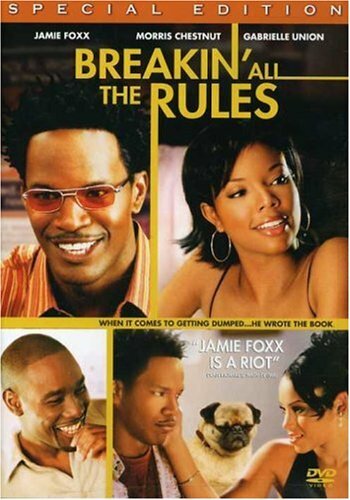 Quincy (Jamie Foxx) is a magazine editor whose life takes an unexpected turn for the worse when his fiancée, Helen (Bianca Lawson), decides to give him some interesting news at their engagement party -- she's breaking up with him. A few days later, Quincy's boss, Phillip (Peter MacNicol), gives him the task of cutting manpower in his department by 15 percent; too emotionally beaten to fire anyone, Quincy responds by quitting his job. Deeply depressed, Quincy begins writing a letter to Helen to explain his feelings, but as he analyses his emotions, his notes take a different turn, and Quincy decides to write a book about how to painlessly break up with someone. The book becomes a smash best-seller, and Quincy's friends begin turning to him for advice on the subject of getting out of relations. Quincy's cousin Evan (Morris Chestnut) is eager to call things off with his girlfriend, Nicky (Gabrielle Union), and asks him to do the dirty work for him; however, Evan begins to have second thoughts when he discovers Quincy has fallen for her. --Mark Deming, Rovi. <?xml:namespace prefix = o ns = "urn:schemas-microsoft-com:office:office" />Sony Pictures Home Entertainment (2004), English, DVD Number of discs: 1, Rated: PG-13 (Parental Guidance Suggested), Run Time: 85 minutes.